Source emails may be inadvertently being deleted by your email provider without your knowledge. 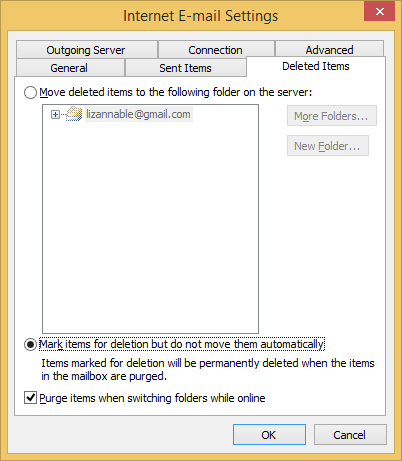 A recently discovered interaction combines Outlook 2010 with Gmail IMAP (and possibly other IMAP providers) such that Outlook is moving emails to the deleted items folder rather than the designated subfolder configured in the Inhaler. This result will in turn will synchronize to Gmail, which will then purge the item after 30 days. 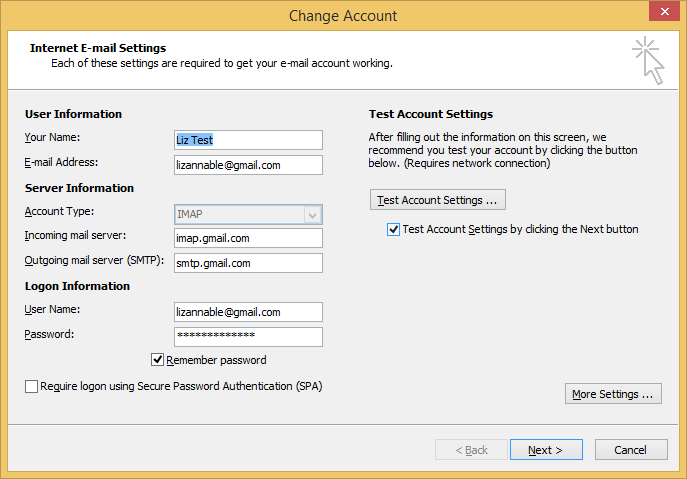 This mal-response to a move command from PCRecruiter does not occur in Outlook 2007 or Outlook 2013 nor all Outlook 2010 environments using IMAP. To see if you are subject to this please a) observe that the Inhaler is moving items to the proper subfolders and/or b) check your deleted items folder in Outlook and your deleted items folder in Gmail to ensure that wanted resume emails have not been moved to those locations. While we have no expectation that Microsoft will make any changes to Outlook 2010, there is a workaround if you find that you are subject to this issue. Click on the FILE tab in the upper left hand corner. Click on the Deleted Items tab, then click Mark items for deletion but do not move them automatically. Click OK/Next until all the account settings have been closed.